Nowadays carpets are available in almost all designs for little money. Machines manage to knot a single carpet from dyed yarns within 60 minutes. However, this no longer has much to do with the centuries-old tradition of hand knotting, where knot by knot is crafted by hand for months. The result is an incomparably fine, unique piece with which a machine-knotted carpet has little in common. Persian rug knotting has long been and still is one of the most challenging and at the same time of the highest quality. Not only is the Senneh knot extremely robust in direct comparison to other knot types, but the density is also almost unmatched. Persian rugs play a highly important role in the segment of over 500,000 knots per m2 and are virtually unrivaled concerning rugs with 1,000,000 knots per m2 or higher. Last but not least, it is mostly Persian rugs that, with a certain rarity, at least maintain or even increase their value over time. The rarity and knot density of a rug is determined by one main factor, the knotter. While a knot density beyond 500,000 knots per m2 requires a lot of experience and skill from the knotter, a density around 1,000,000 knots and more is reserved for the most experienced. As a guideline, an experienced knotter will knot about 10,000 knots a day, which means he will need about 50 working days for a single square meter of a 500.000 knots / m2 rug. This means that very fine rugs can take up to a year to craft. The knotting density is therefore an excellent indicator for the rarity and the effort, respectively the fineness of a rug. Since the knotting density depends solely on the skill of the knotter, this is a decisive factor which, for example, collectors include in their purchase decision and evaluation. Some well-known master knotters have their own studios in which they pass on their knowledge and skills and supervise the production of their works. Special rugs are therefore not only signed by the knotter's name, but can also bear the studio's name instead. Other rugs may be signed with the name of the customer. A rug is usually signed on the outer edge, visible on the surface. The corresponding name is knotted into the carpet by hand in Arabic. 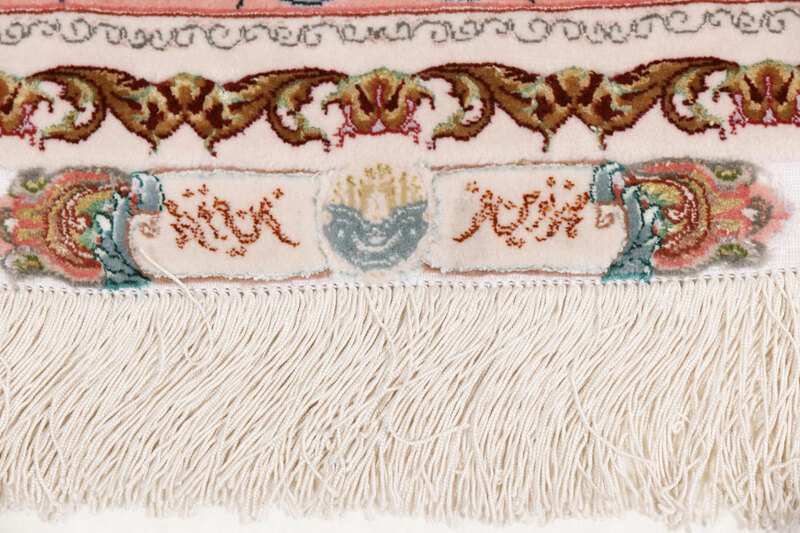 Thus the name of the master knotter, alongside the origin of the carpet, serves as some kind of brand name that allows conclusions to be drawn about the level of expertise and the rarity of a rug. Persian rugs made by particularly well-known and skilled master knotters have become hard-fought collector's items, such as those by Habibian. In the following the classical knotting densities of oriental rugs are listed, categorized for an approximate orientation and estimation. Raj is often used as a quality unit in Iran. The number of knots is counted on 7 cm in the direction of the warp yarn on the back of the rug. This number gives the Raj value. 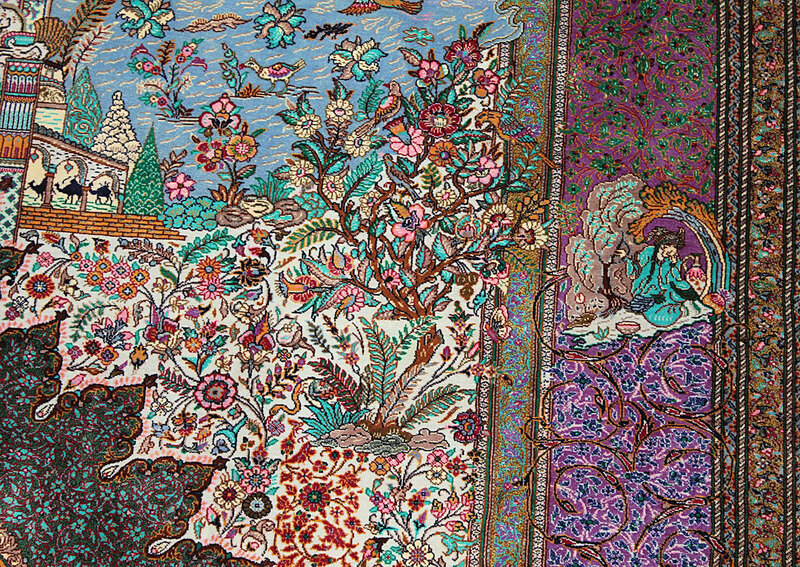 These rugs come from the city of Tabriz. The rugs knotted there are usually measured in Raj.